Dreams do come true! 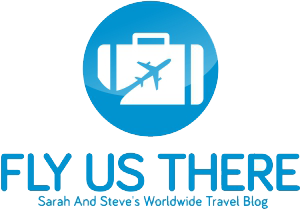 As most of you know, Steve and I have been working our way around the world for a while now, hopping from one place to the next like a couple of pre-uni Gap Year teens – except with money! One country I had always wanted to visit was India…and here we are! After all the working and the saving, we grabbed the chance to explore the place. India is the seventh largest country by area and has around 1.2 billion people, so it’s definitely the most challenging destination Steve and I have visited so far. Discover. Relax. Enjoy. These are the three things I wanted to do in India particularly Mumbai. I wanted to learn a lot about this beautiful city, so before I started my adventure I made sure to list all the wonderful places to see; the best place to rest and relax; and the restaurants to discover unique Indian cuisine. 1. Mandwa beach is a great place to relax and unwind. Because of the clear blue water and fresh sea breeze, the Mandwa beach provided a little bit of time out from the hustle and bustle of the streets and traffic. Aside from the much-needed relaxation, I was also able to see the Gateway of India, and some unique butterflies and rare birds from the nearby forest. The Mandwa beach also offers water sports like kayaking. I enjoyed the challenge of staying inside my kayak and to finish my journey with just a paddle to help me out! What a ride! 2. Every country has something “weird” (aka unique) to offer tourists. In Mumbai India, I guess it’s a trip to Dhobi Ghat. 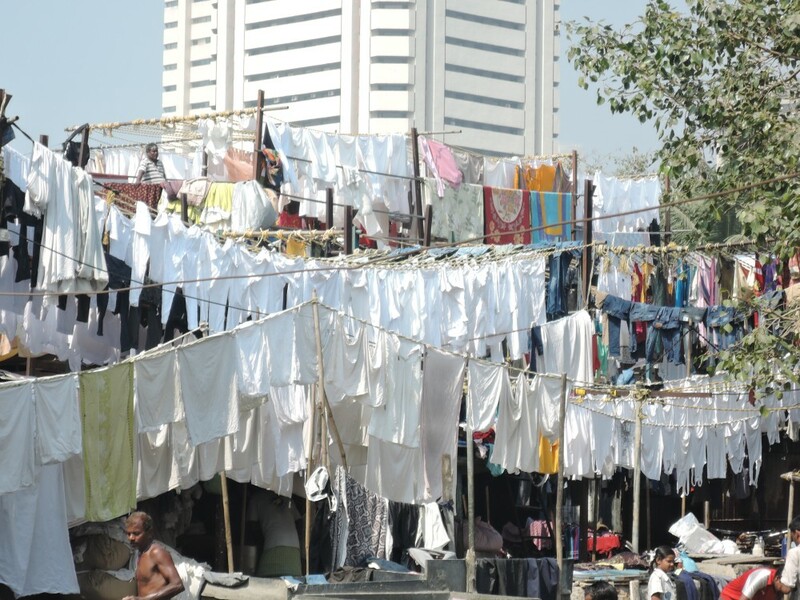 It is a huge open-air Laundromat where washers (or Dhobis) are hard at work, making sure all the clothes from the hotels and hospitals of Mumbai are neatly washed. The place is near the Mahalaxmi train station. I watched the Dhobis do the laundry from the flyovers and it was an interesting spectacle, and one I haven’t seen elsewhere before. 3. I also decided to join a 4-hour bike tour. The challenge was not really the bike tour, but the waking up early!! Kidding aside, I wanted to see Mumbai with lesser cars and people and for that to happen I needed to wake up early. We were eight in the group and we ‘whooshed’ to the Marine Drive, Sassoon Dock, Crawford Market and the Mumbadevi temple. All of us enjoyed a hearty breakfast with tea at the Kailash Parbat restaurant. The guide was very friendly and the tour was really a great adventure! Steve and our lovely bike tour guide. 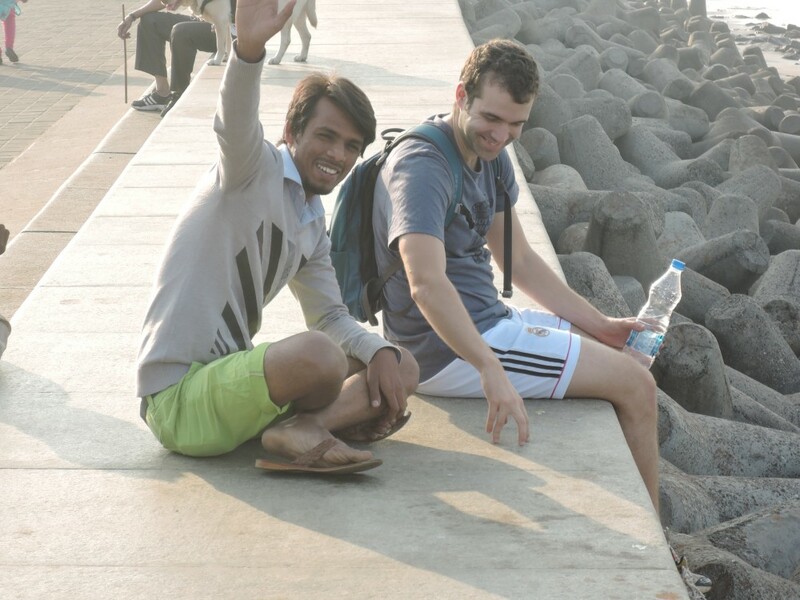 Before I started my Mumbai journey, I explored the city for accommodations. My requirements were simple (ha ha!) – relaxing, safe, friendly service and a fantastic view, and I found the perfect India luxury holiday spot! Everyone staying in Mumbai knows the Taj Mahal Palace. I think the clue about the quality of this hotel is in its name: the words “Taj Mahal” and “palace” convinced me in about a nanosecond to stay here. 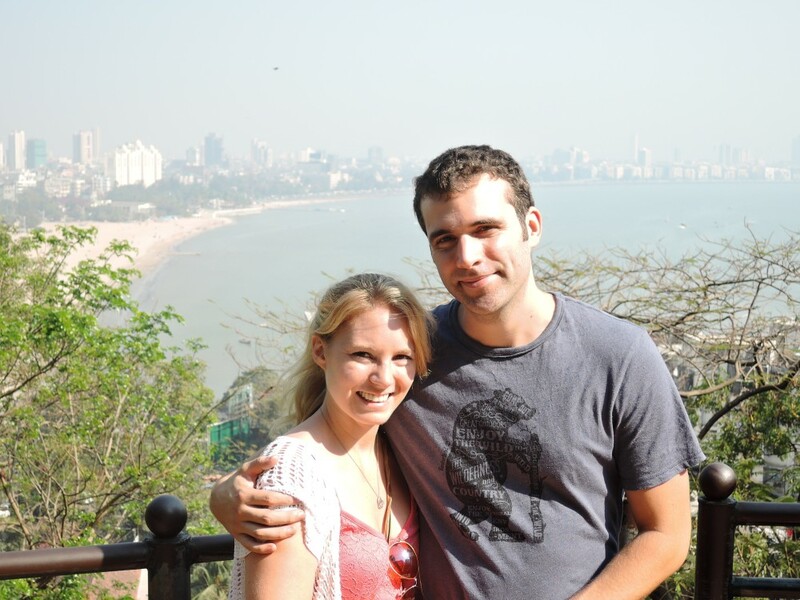 Steve and I enjoyed the wonderful view of the Gateway of India and the Arabian Sea every morning because the hotel is on the waterfront of Bombay. The hotel is also a mixture of the old India and the new India. The rare objects and paintings gave a nostalgic ambiance while the new amenities added the contemporary touch. Taj Mahal Palace offers 565 rooms and 44 suites. I experienced luxury to the highest level in Taj Mahal Palace! 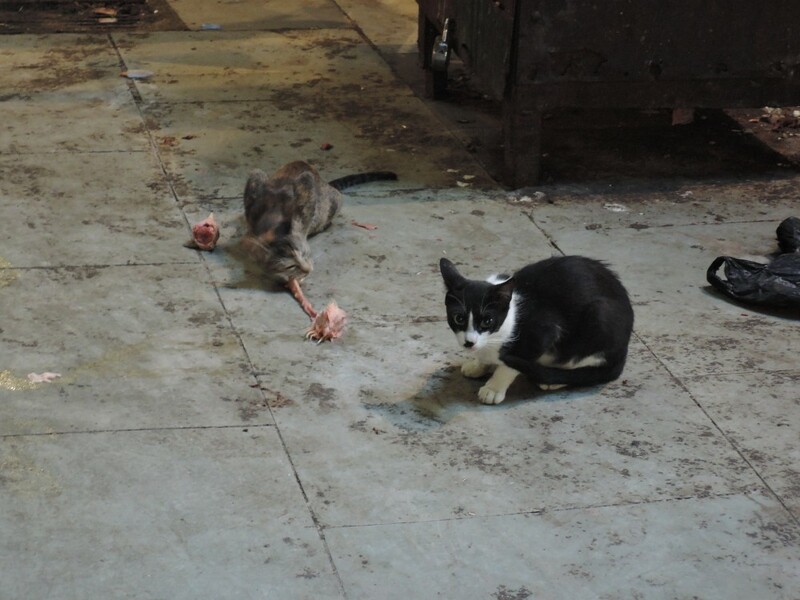 No, you won’t have to fight cats for scraps at the meat market! It’s not difficult to look for great restaurants in Mumbai. They are practically everywhere! The Taj Mahal palace is proud of their Golden Dragon restaurant, and we enjoyed their great food and my eyes also feasted on their unique Chinese artifacts decorations. Another big plus for the great hotel! I also enjoyed real Indian cuisine in Ziya restaurant and only have great praises for the master of Indian cuisine, Chef Bhatia. I am not really a big fan of Indian food, but Chef Bhatia changed all that. There is only one word to describe my Mumbai experience- Unforgettable!! 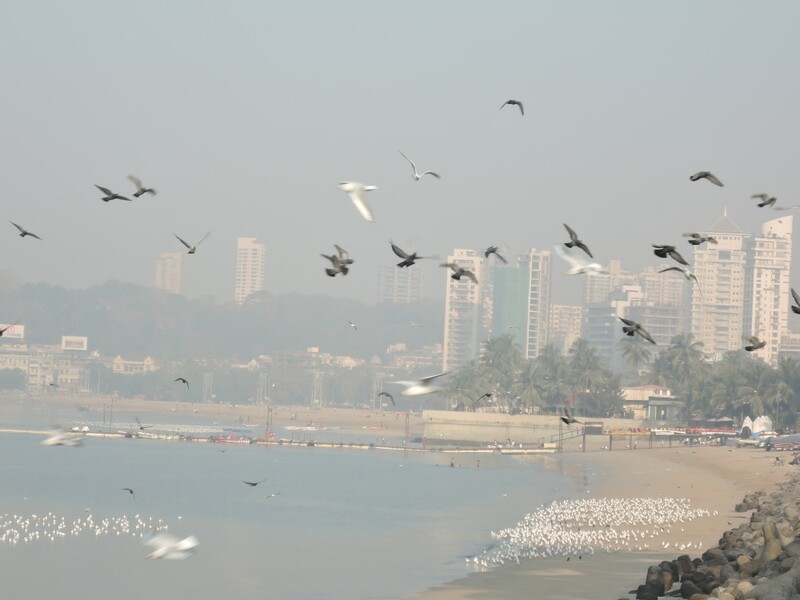 My dream came true, but I am sure I only scratched the surface visiting Mumbai, and there are tonnes of other great destinations for a holiday in India, but the capital was a great starting place for us!